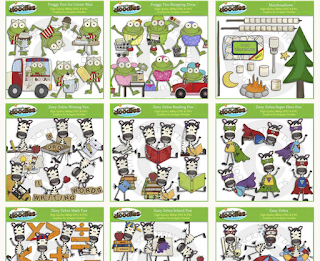 Teach Laugh Plan: Frogs, Zebras, & more Clipart! I've had many of you ask where I find my fabulous frog clipart that I often use on my blog. Well the answer is Scrappin Doodles! I am sooooooooooo addicted to cute clip, especially if they are frogs! I'm even more addicted to great prices! LOL! Scrappin Doodles is inexpensive! I love that every Friday they send out a newsletter and look what's new today! More frog clipart!!!!!! Not only do I use the clipart on my blog but I use it to make my classroom newsletters, worksheets, etc. My students (and their parents) love to see all the fabulous frogs! The Zebras are adorable but it's the frogs I am buying today! 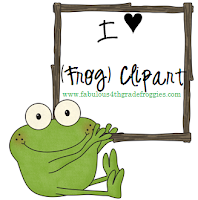 If you want to check out all the different frogs (or other clipart) just click on the Scrappin Doodles pic below and search for frogs.....you'll love what you find! If you decide to make a purchase, make sure you use the coupon code JUNE2012 for a 15% discount when you spend at least $5.00 (excluding licenses & gift certificates). I am loving discovering all the great clipart out there. Now I actually want to really try digital scrapbooking. I heart Scrappin Doodles too!!!!! Your stuff is always so cute!